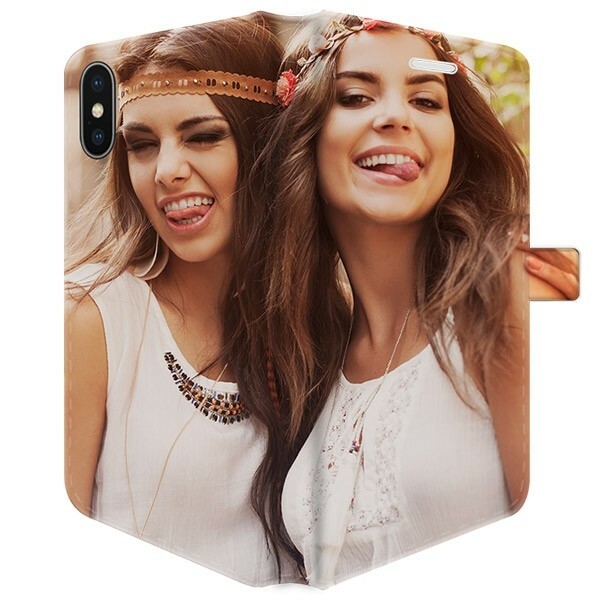 A custom iPhone Xs case designed by you using your own photos and designs. Get a great look for your phone while providing it excellent protection against scratches and bumps, with a wallet case. 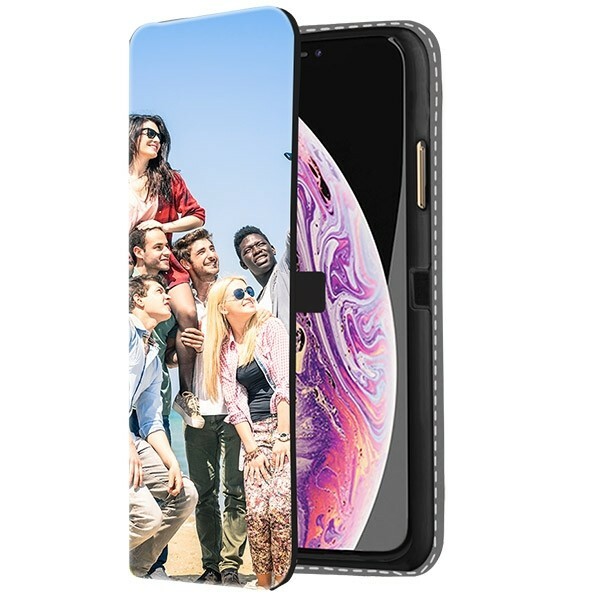 Designing your own custom iPhone Xs case can be done easily and quickly. Do you want to protect your new phone while providing card storage and a unique design? At GoCustomized, we’ve got you and your phone covered. Print a cool design, logos, or your own photos on this custom full printed wallet case to create a one of a kind look for your phone. This wallet case provides a great solution for phone protection while giving you a handy place to store up to three cards. Print your photos or design on the front and back of this full printed wallet case for a completely personalized look. Design your case now! No need to be a graphic designer. 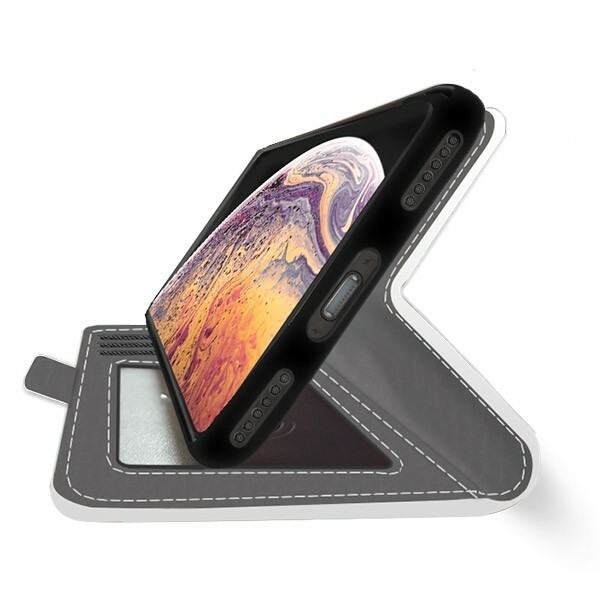 You can create a custom iPhone Xs case very easily using our specially built Customizer. In three simple steps, you’ll have a one of a kind phone case that fits your personality. Choose the right phone model and case type from our collection. Upload a design or photo via your phone, computer, or social media accounts, like Instagram or Facebook. You can use any kind of image, as long as it is a PNG or JPEG. Finally, make any image adjustments, add some text or emojis, and finalize your design. Double check your order before you complete it to make sure it’s all correct. Create your own custom phone case in just five minutes. 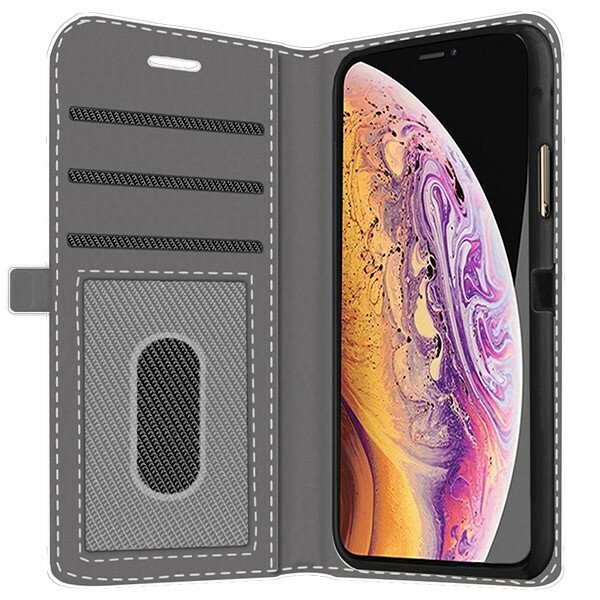 Once you have finished your design and checked out, we will start making your custom iPhone Xs case almost immediately. Your custom case will be printed on both sides of the wallet case using high-quality UV printers with scratch-resistant ink. After your custom case has been printed and checked for imperfections, we’ll ship it to you. We’ll also send you a tracking code, so you can track its progress and know exactly when it will arrive. If only everything in life were this fast and easy. Before placing your order, please make sure to carefully verify all your order details. Design your custom case today!